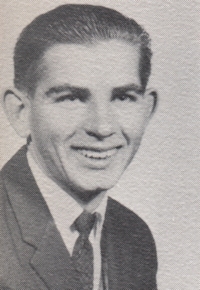 Obituary – Loveless, Larry Ray « Perry High School Alumni Association, Inc.
﻿Larry was born February 8, 1945, in Stillwater. On March 25, 1967, he married in Harrison, Arkansas, to Nancy Jo Dawes, who survives. He attended Perry High School and was employed by the Farmer’s Co-Op Exchange in Perry. Survivors in addition to his wife include one son, Lonzo Eugene Loveless of the home. His parents, Mr. and Mrs Cecil Loveless Sr., Perry; one brother Cecil Loveless, Jr., Perry; one sister, Mrs Barbara Schweer, Blackwell; and grandparents, Mr. and Mrs. Guss Ewy, Perry. He also leaves behind many aunts, uncles, cousins and friends. His body was recovered from approximately 25 feet of water in the Perry municipal water supply lake at 1:35 p.m. Monday to end a weekend of searching. He disappeared beneath the surface of the water at approximately 9:15 p.m. Saturday while on a boating outing at the lake with four other Perry men. Larry had been swimming near boats containing the other when he disappeared. His death officially was ruled accidental drowning by the Noble County medical examiner. Services will be at 2 p.m. Thursday at the First Presbyterian Church. Officiating will be the Presbyterian pastor, Rev. Don Harnden, with burial in Grace Hill Cemetery under direction of Parker Funeral Home.